Chillingo seems to be one of the most prolific – and successful – iOS developers in the market. The key to their success is a steady stream of well-produced, bite-sized portable games that usually encourage repeated plays to improve their score or unlock additional levels. 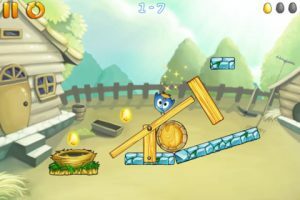 Little Lost Chick follows that trademark Chillingo formula with simple-but-addictive gameplay that takes place in an adorable setting. Though it’s not the most original premise ever devised, Little Lost Chick is yet another great buy for gamers looking for a jump-in and jump-out game. If you’ve played other games by Chillingo, the basic structure of Little Lost Chick will be familiar to you. The main goal is to guide your chick to his nest, collecting up to three eggs along the way. 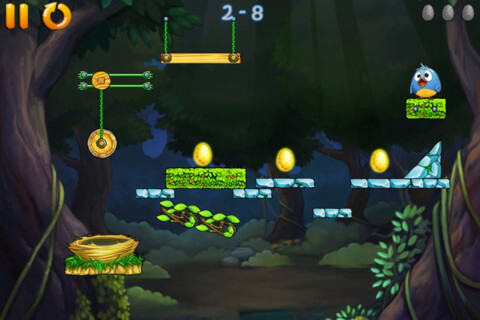 The eggs help your ranking and allow you to open up additional levels. 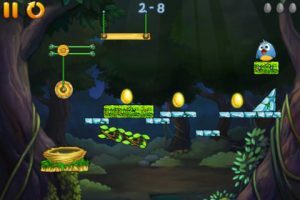 Blasting through the game while only picking up one egg per level will only get you so far, so it’s important to think ahead and plan your course of action. The titular Little Lost Chick is a relatively useless creature. The little guy only moves by using gravity, rolling from one platform to the next. To get the chick started, you’ll either have to manipulate the ground under him or use an object to push him along. From there, he’ll simply roll wherever gravity takes him. Because of this, it’s vital that you observe all of the potential paths, pitfalls, and obstacles in order to maximize your result. 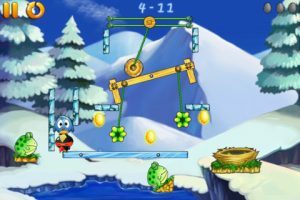 You can create a path to the nest for the Little Lost Chick by removing platforms or blocks, rolling objects into one another, cutting cables, and more. Timing is also plays a roll, as sometimes you’ll need to manipulate an object just as the chick approaches. As mentioned, Little Lost Chick is an adorable game, full of bright colors and cute characters. Fortunately, it is also a very clean game, allowing you to see objects clearly and plan accordingly without hassle. 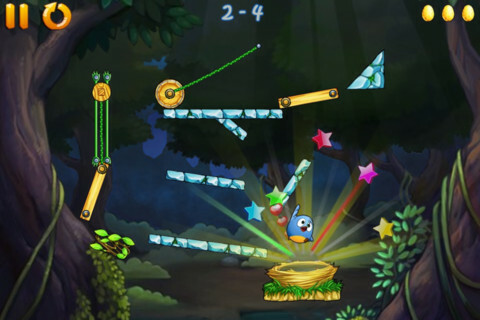 In essence, Little Lost Chick is simply a ball drop puzzle game with gravity as its main gameplay mechanic. While it does require a good deal of strategic thinking skill to be successful, there’s not a terrible amount of variety. Nevertheless, as a quick-hit, pick-up-and-play title, it’s difficult not to recommend. 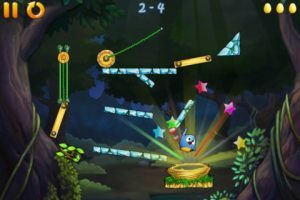 Bottom Line: Cute, addicting, and easy to play, Little Lost Chick is an enjoyable little brain-teaser. 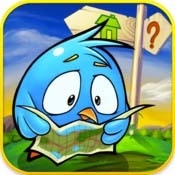 Little Lost Chick is compatible with iPhone, iPod touch, and iPad. Requires iOS 3.0 or later.